Vanderbilt. My mother. Closure. i’m looking at me. 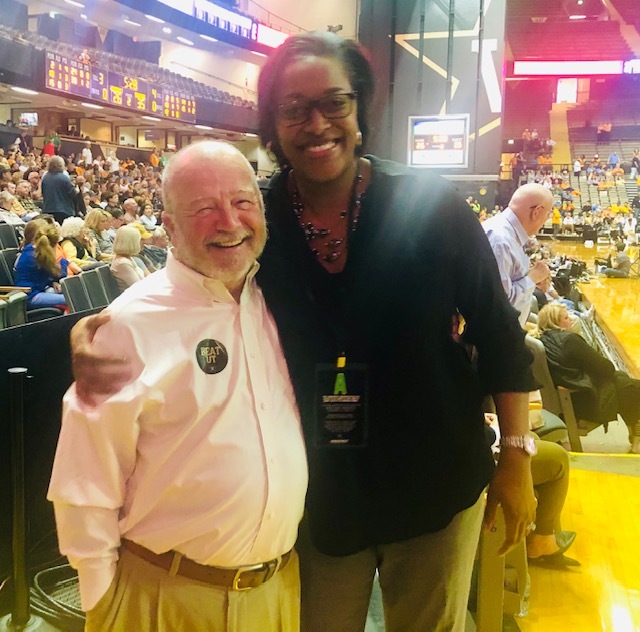 As Candice Lee said to me as we walked off the court after Estelle Prichard Jewell was honored at halftime: “I’m sure she is up there smiling.” Maureen later commented, “Estelle would have protested, but she would have relented and been very, very happy.” i agree with both Candice and Maureen. Looking back at the day ala Fitzgerald, i was a bit nervous at first, giddily laughing for a little while, pleased by the attention we got from Malcolm Turner, the new Vice-Chancellor of Athletics, Candice, Andrew, Renee, and the other Vanderbilt folks, bordering on tears for that small part of the ceremony — and would have lost it if i could have watched what they were flashing on the big screen. i was thankful to Vanderbilt. 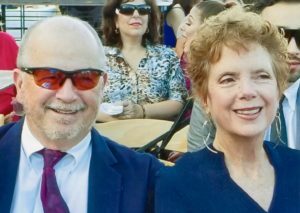 i was glad for my mother, and, of course, my father who would beaming with pride. i was sorry all the other Jewell-Prichard grandchildren and great grandchildren could not be there. i was glad it was over. And i was tired. 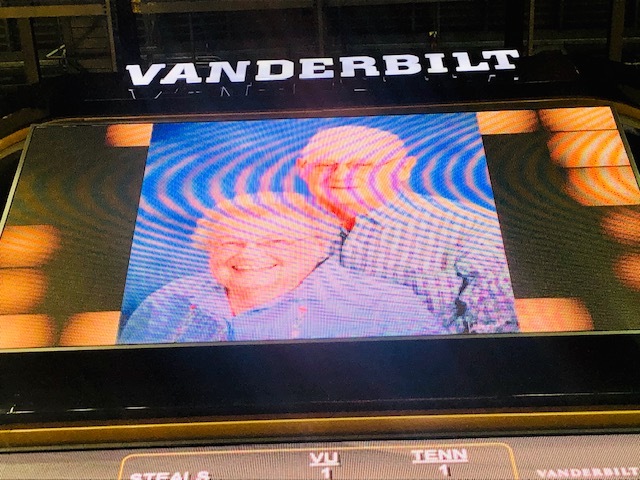 If we get the video and the Vanderbilt photos of the ceremony, i will post them here. For now, here are the photos from Andrew Maraniss who was right there with the big cameras and behind the scenes (Still haven’t thanked you enough, Andrew). 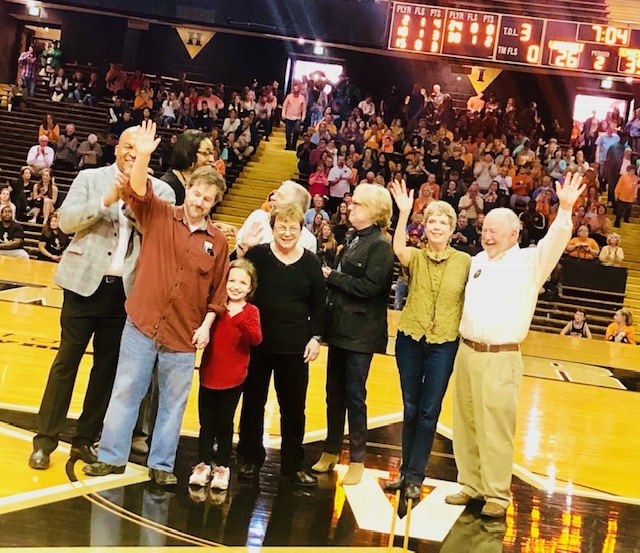 Halftime (from left): Malcolm Turner, Vanderbilt’s new Vice Chancellor of Athletics; Candice Lee (in background), Deputy Vice Chancellor of Athletics; Tommy Duff; Allie Duff; Martha Duff; Joe Jewell (in background); Carla Neggers; Maureen Jewell; goofy old man. The big screen with Mother and Daddy. 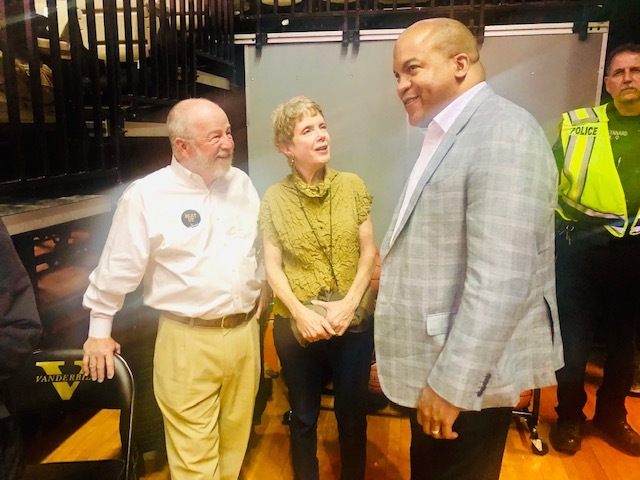 Goofy old man and Maureen with an excellent choice for the new “AD” Malcolm Turner. Reposted because she’s special: Goofy old man with Candice Lee. 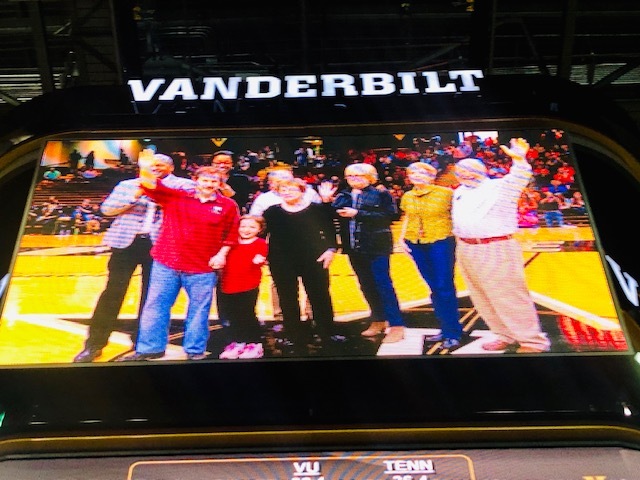 The group on the big screen. Keep smiling…i am. And Mr. Fitzgerald, i understand what you were talking about.